Pest Management Professionals are happily discovering they can be more efficient and more effective with their bed bug work by incorporating ActiveGuard® Mattress Liners into their control strategies. PMPs are no longer passively trapping bed bugs, hoping they don’t escape; ActiveGuard® kills them 24/7 and continuously for two years. Dust mite abatement. Sales Opportunities are everywhere! that is renewable every two years. NO OTHER PRODUCT ON THE MARKET CAN CLAIM TO HAVE TWO YEAR RESIDUAL ACTIVITY!!! ActiveGuard® must be replaced every two years to be effective. 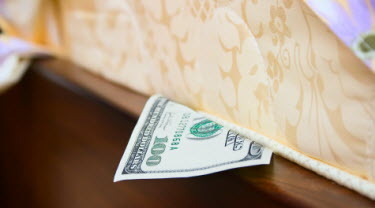 Hotels, Universities, Colleges, Dorms, Multi-Resident Dwellings, ANYWHERE there is a bed – Sell a preventative bed bug contract by covering every bed in their facility. The cost is minimal considering the damage an infestation can do to their reputation and loss of revenue.